Apple touts the cybersecurity of its iPhone, but less can be said for the exclusive manufacturer who makes the processor for the iPhone. Semiconductor foundry TSMC, or Taiwan Semiconductor Manufacturing Company, was hit by a virus late Friday night, which forced it to shut down several factories according to Debbie Wu at Bloomberg. 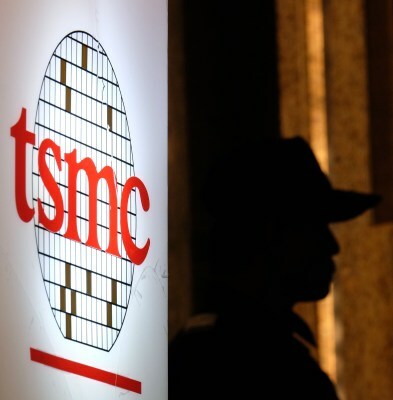 The virus and the shutdown were confirmed by TSMC representatives. It is not clear at this time which factories were hit, or whether those factories were producing the iPhone’s main processor. Apple is expected to unveil new iPhones this fall, and supply chain disruptions in the critical month of August could have significant adverse consequences for the rapid availability of the new phone before the key Christmas holiday. TSMC has grown to become the largest independent semiconductor foundry in the world, with profits last year of $11.6 billion. The company has benefitted from partnerships with smartphone companies like Apple, which produces the designs for its own A-series chips and then contracts out their manufacturing to foundries. TSMC is a critical partner for the launch of the new iPhone. It announced earlier this year that it had begun volume production of 7mm chips, which will drive performance while limiting energy usage. The origins of the virus are not known, although a statement by the company to Bloomberg said that it wasn’t introduced by a hacker. Cyberattacks are nothing new to the island nation, which has increasingly faced sophisticated cyberattacks, mostly originating from China, which holds deep antipathy for Taiwan’s president Tsai Ing-wen. Taiwan’s government websites have sustained 20 million cyberattacks per month, with the bulk believed to be originating from China. Jess Macy Yu at Reuters reported earlier this summer that Chinese cyberattacks had grown more successful, even as their total volume has declined. Taiwan’s local elections will be held later this year in November, and the number and intensity of attacks is expected to increase as the date approaches. Alongside Foxconn, TSMC is one of Taiwan’s most important and profitable companies, and is an obvious target both due to its wealth and scale, as well as its centrality in the increasingly fraught cross-straight relations between China and Taiwan. China has made becoming the world leader in semiconductors a national priority, and companies like TSMC are deeply competitive with mainland foundries. That’s the paranoid context for many tech executives in Taiwan, and while the culprit of this particular virus is not yet publicly known, eyes and fingers are already beginning to point in one direction. More information about the attack is expected to be available next week.